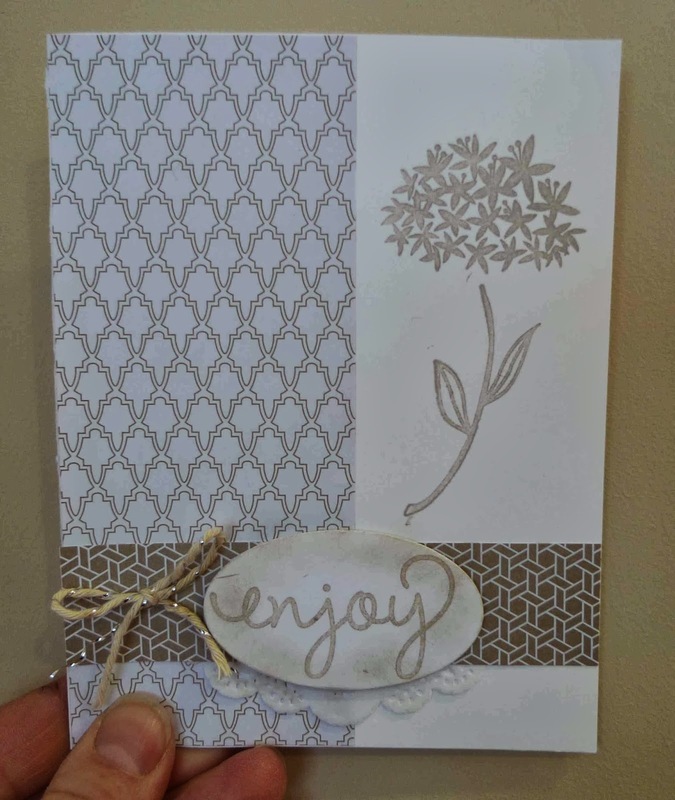 Karina's Kreations: Stamp it Three Ways! 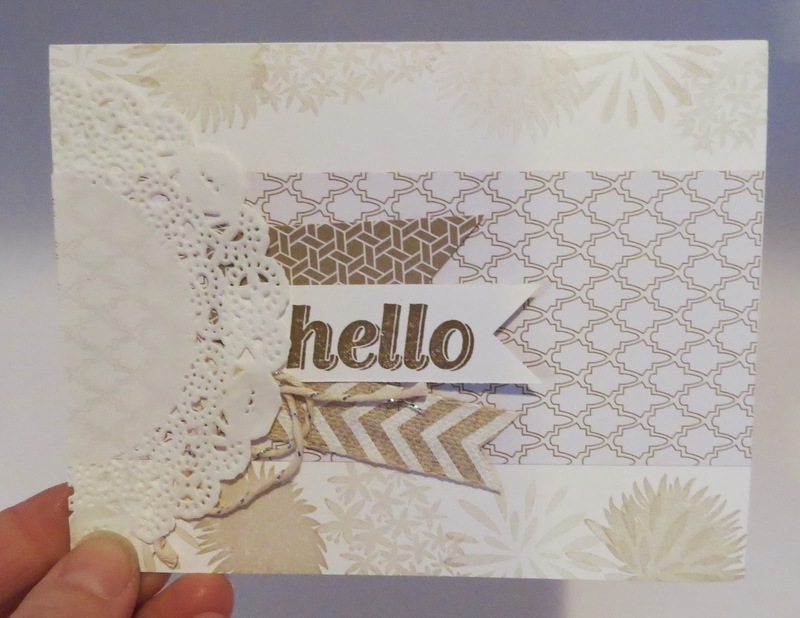 This is my second edition of stamp it three ways card challenge. I take a swap that I received and cut the same pieces and give it to three friends to stamp. 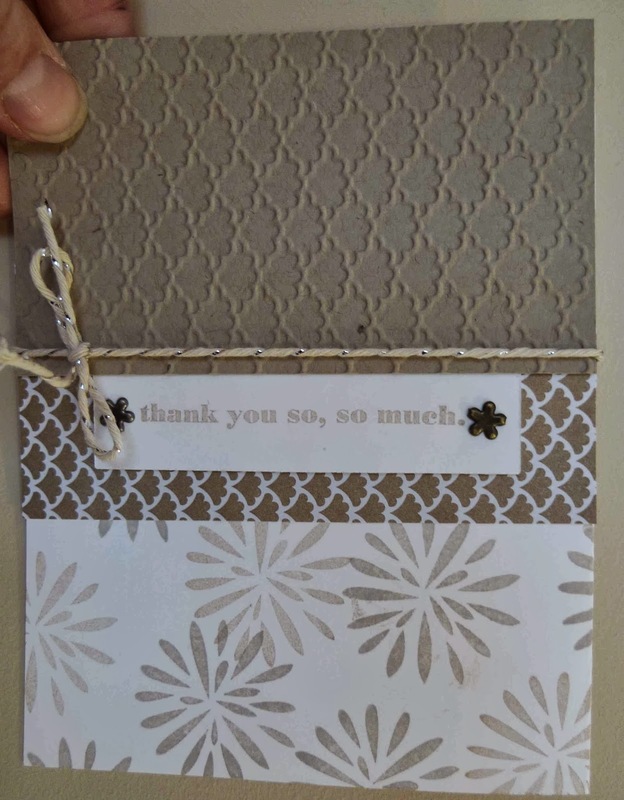 I love seeing the different ways they design the card. 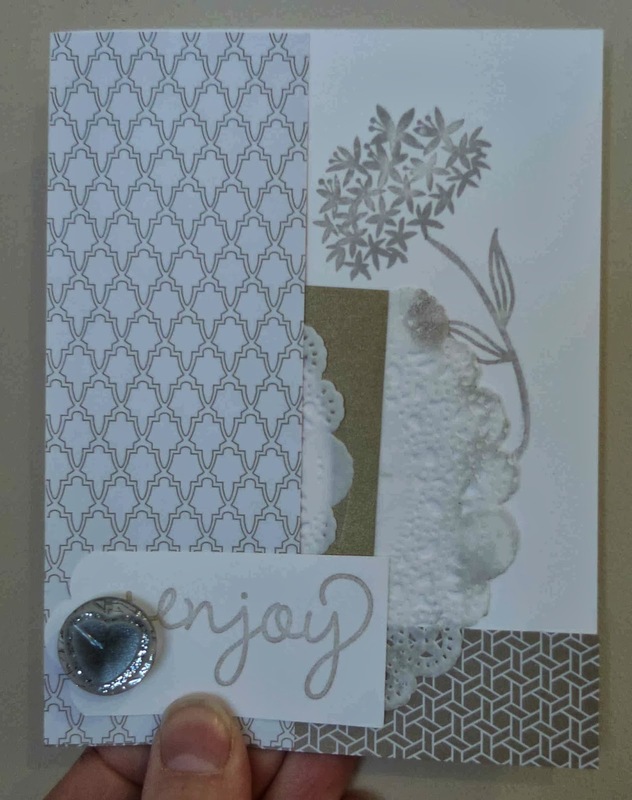 This week my swap card was designed by Joanne Rolston. 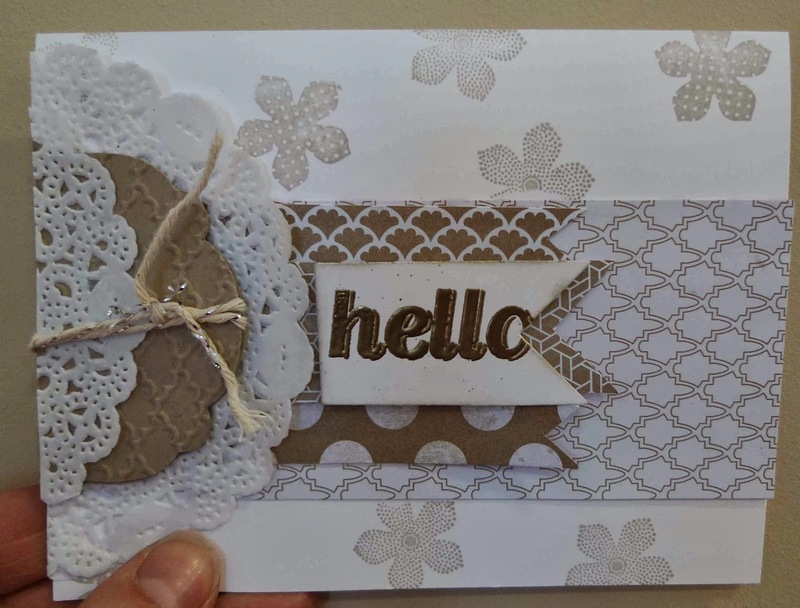 Joanne makes beautiful swaps!! 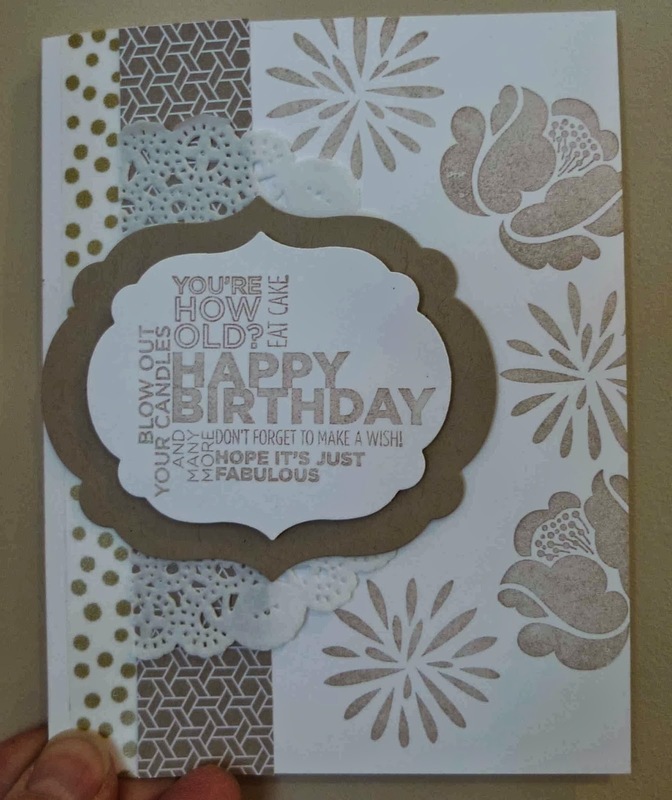 Joanne used the Simple Stems Stamp Set on her card. I know I have more than three designs but I loved them all and couldn't choose. I hope they have inspired you to try this challenge.